Fiamma Aluminum Wall Bracket Set. 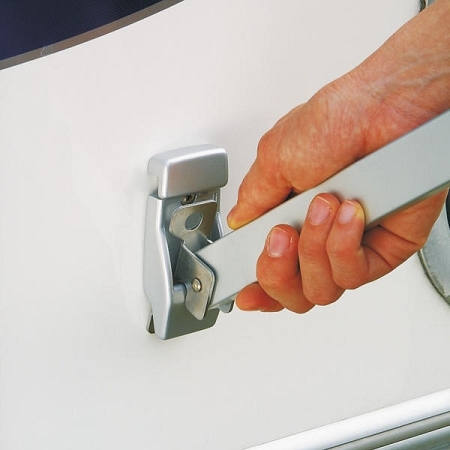 For mounting awning legs to side of vehicle or camper. Brackets are included with the purchase of the F45 and F65 awnings and optional on F35 models. The brackets are well made and easy to install and they work well. The service from EuroCampers was prompt and efficient. Very satisfied with the order, excellent quality and easy to install. Price is reasonable, but the shipping to Canada, brokerage fees and duty made this item 3x more expensive. Yes!! No problems with the brackets. Perfect fit and easy install. Thank-you EuroCampers for having them in stock.